Shares in the French water group fell 16 percent after a profit warning. Utility-like groups with long-term public contracts typically enjoy a low cost of capital. But having governments as clients is no safeguard, as Veolia and Carillion have already shown. Source: Image courtesy of the company. A Suez desalination plant in Masdar, the United Arab Emirates. 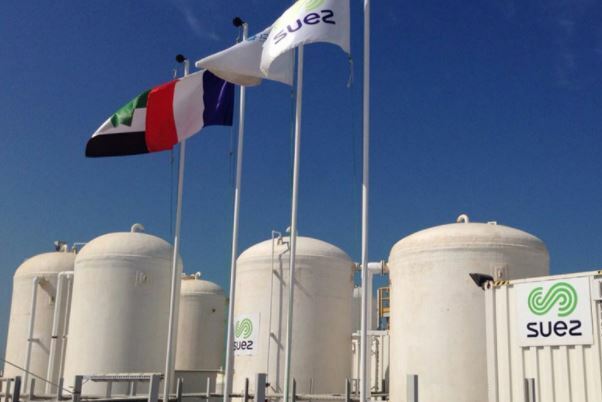 Suez shares fell 16 percent on Jan. 24, a day after the French waste and water treatment company announced a profit warning. The company said organic operating profit would fall to 1.28 billion euros ($1.57 billion) in 2017, down 2 percent from a year earlier. The revision to its previous target for slight organic growth was affected in the fourth quarter by 45 million euros of “specific expenses”. Suez said the hit was caused mainly by delays to expected work in Spain, as well as two services contracts in Morocco and India. At 0930 GMT, Suez shares were trading at 11.8 euros, down 16 percent.